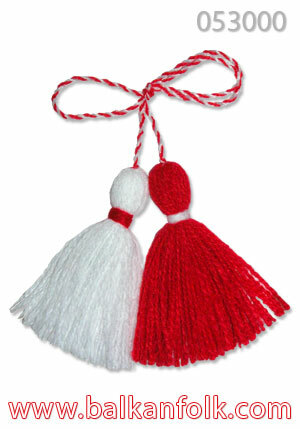 The Martenitsa is manually made with red and white thread. Gifting a Martenitsa is a traditional Bulgarian custom typical for the beginning of March. The Martenitsa is believed to bring health, luck and fertility to the one who carries it.